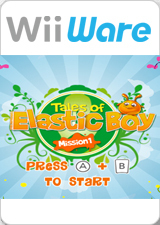 Tales of Elastic Boy: Mission 1 offers you a totally innovative and unique way of playing that takes full advantage of the Wii Remote controller. To fulfill your quest and save your planet, you’ll have to travel through many lands, defeat various enemies, meet unexpected friends, and solve tricky puzzles. Play either in single-player mode or with your friends and discover funny games! Use your stretching arms to swing and punch, roll as fast as you can, or jump onto your enemies. Based on a very powerful physics engine, Tales of Elastic Boy offers you a truly original and entertaining gaming experience that you’ll find easy to learn but not so easy to master. Whether you’re a classic platformer fan or you’re drawn to innovative concepts, Tales of Elastic Boy is for you. Play in single-player mode or challenge your friends in five spectacular multiplayer modes. The graph below charts the compatibility with Tales of Elastic Boy: Mission 1 since Dolphin's 2.0 release, listing revisions only where a compatibility change occurred. This page was last edited on 23 January 2018, at 07:53.